JERUSALEM — Shimon Peres, who died Wednesday at 93, was laid to rest as an Israeli prince of peace. Leaders from around the world came to Jerusalem to pay their respects to Israel’s eldest statesman, a defense minister, prime minister, president and more, who ended his long life as a symbol of his country’s quest for reconciliation with the Palestinians. 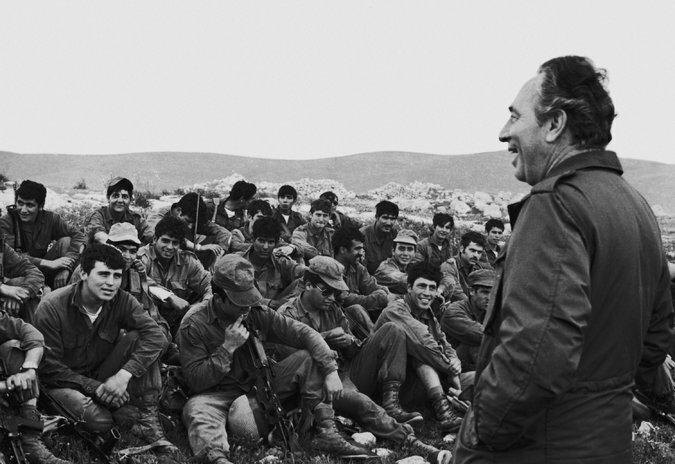 Mr. Peres certainly would have liked to enter history as a peacemaker, but that’s not how he should be remembered: Indeed, his greatest contributions were to Israel’s military might and victories. Despite his involvement in the Oslo peace process, which earned him a Nobel Peace Prize in 1994, along with Prime Minister Yitzhak Rabin and the Palestinian leader Yasir Arafat, solving the Israeli-Palestinian conflict was never his primary work. A close associate and deeply devoted admirer of David Ben-Gurion, Israel’s founding father, Mr. Peres shared his mentor’s conviction that there could be no real peace between Israel and the Palestinian Arabs, at least not for several generations. As Ben-Gurion’s deputy minister of defense, Mr. Peres also held part of the responsibility for the harsh and often arbitrary restrictions that the military imposed on the county’s Arab citizens, including extensive land confiscations.